Take your puppy dog for a walk with this sturdy slip lead. 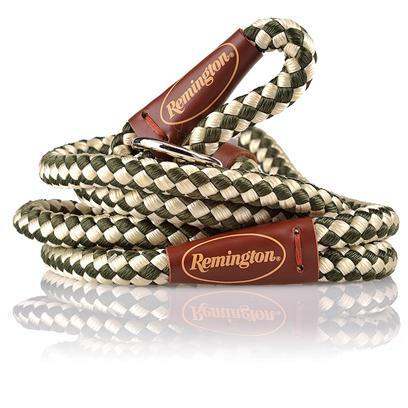 The Remington Rope Slip Lead is made of soft, braided nylon, this sturdy, pliable 6' slip lead/collar is recommended by trainers because it allows for quick, yet gentle correction and has a leather slide that adjusts the collar portion to fit any size neck. The lead is 5/8" wide and 6' long. Both you and your dog will love taking walks with it.